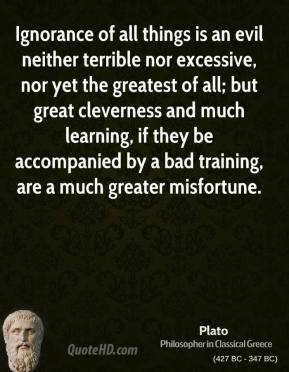 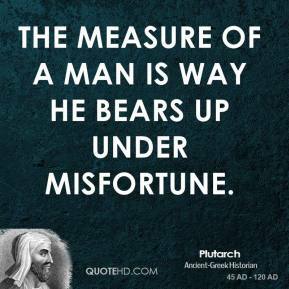 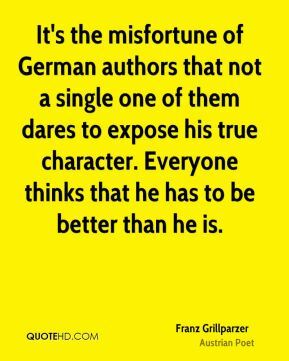 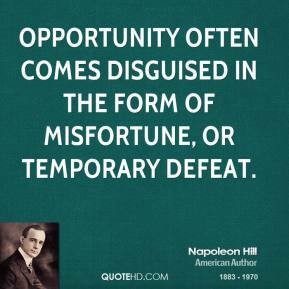 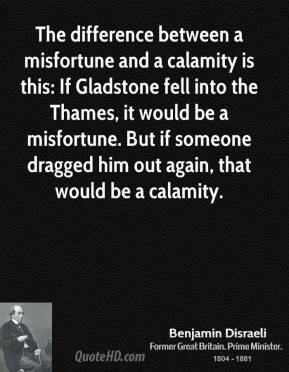 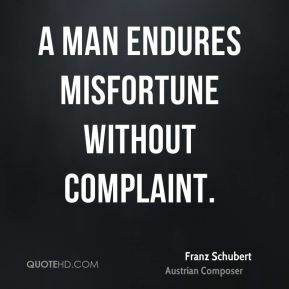 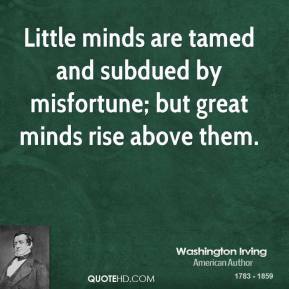 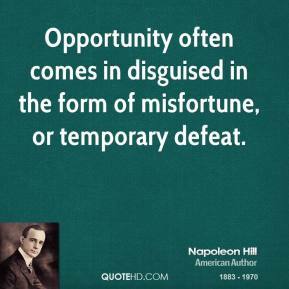 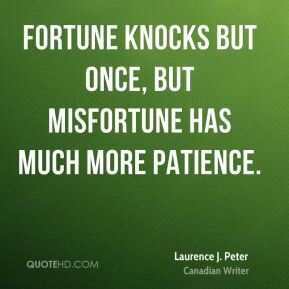 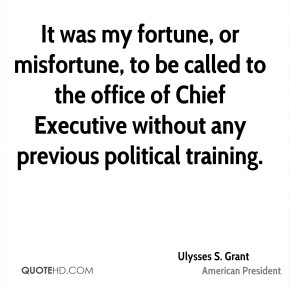 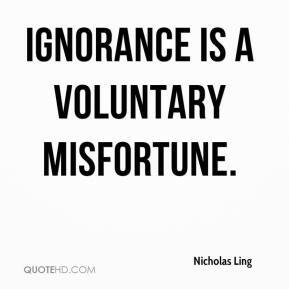 The measure of a man is way he bears up under misfortune. 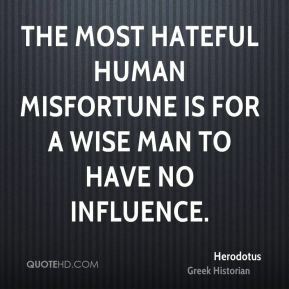 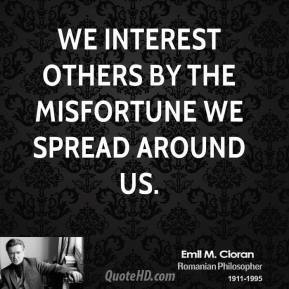 We interest others by the misfortune we spread around us. 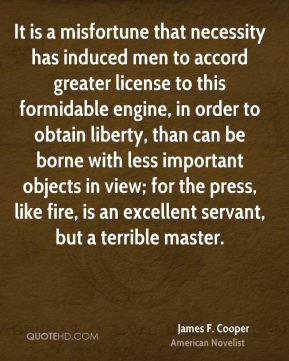 It is a misfortune that necessity has induced men to accord greater license to this formidable engine, in order to obtain liberty, than can be borne with less important objects in view; for the press, like fire, is an excellent servant, but a terrible master. 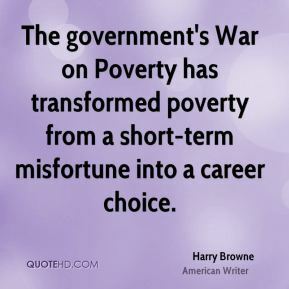 The government's War on Poverty has transformed poverty from a short-term misfortune into a career choice. 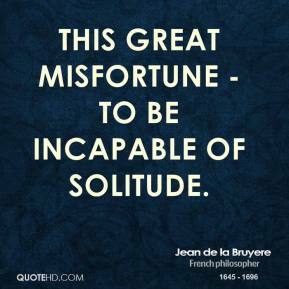 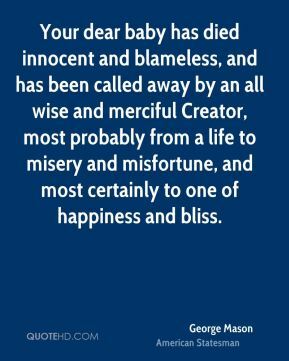 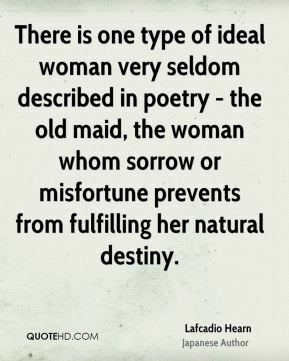 This great misfortune - to be incapable of solitude. 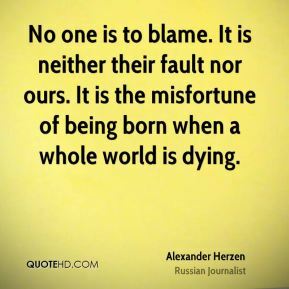 No one is to blame. 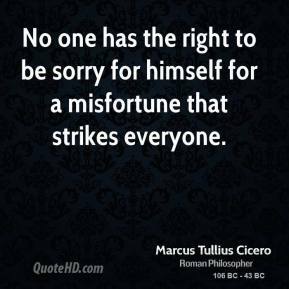 It is neither their fault nor ours. 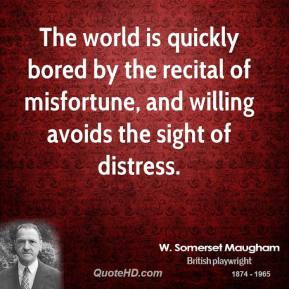 It is the misfortune of being born when a whole world is dying. 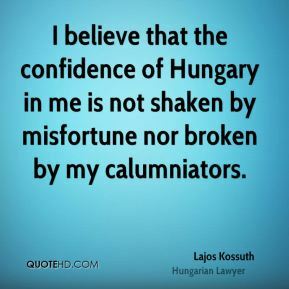 I believe that the confidence of Hungary in me is not shaken by misfortune nor broken by my calumniators. 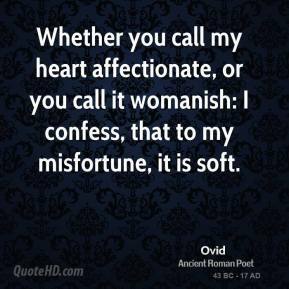 Whether you call my heart affectionate, or you call it womanish: I confess, that to my misfortune, it is soft. 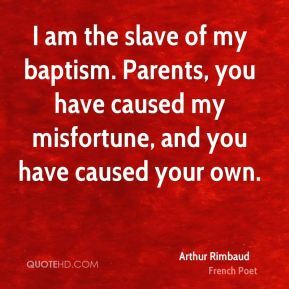 I am the slave of my baptism. 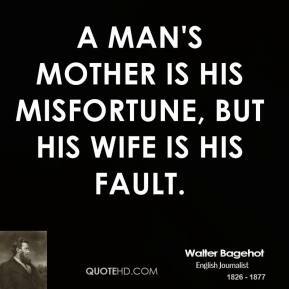 Parents, you have caused my misfortune, and you have caused your own.